floor protection. They made the point that if you do not protect you garage floor from dirt, oil, road salt, sand, water, snow and chemicals; you are going to end up with a garage like this. 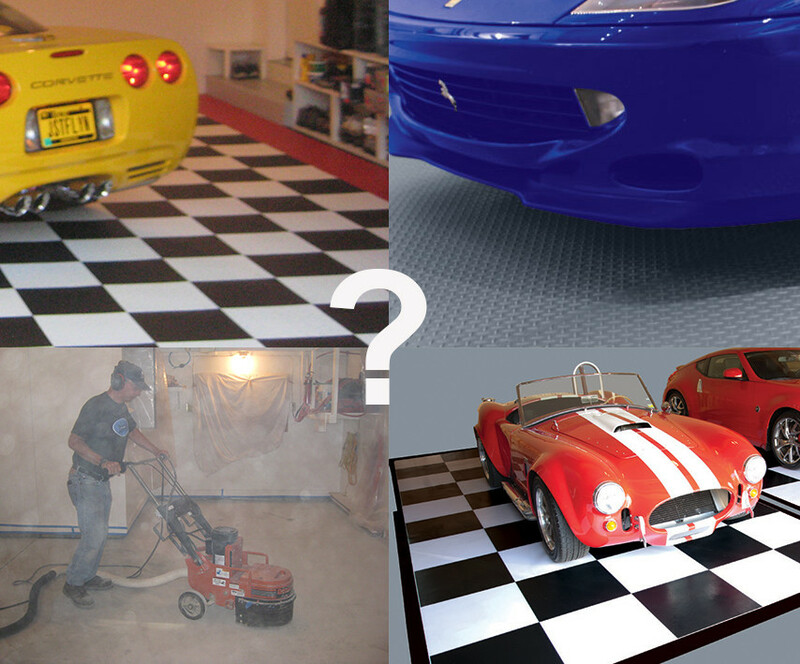 So what is the best way to protect your garage floor? You have a lot of options, but since Better Life Technology started the conversation, lets take a closer look at why BLT mats are an excellent way to protect the concrete in your garage. First, starting at just over $1.50 a square foot, Better Life Technology Garage Floor Mats are an affordable option. Second with four patterns of garage floor mats to choose from and 6 standard colors BLT is a beautiful way to protect your garage floor. Better Life Technology garage floor protectors are American Made in Emporia Kansas. They have stood the test of time and continue to perform year after year. Most of all, BLT mats are just unpacked, unrolled and cut to size. No Mess, No adhesive and no waiting. 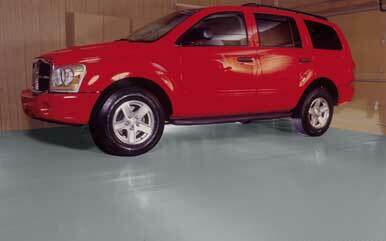 Garage Flooring LLC offers many other brands of Garage Floor Protection. We offer the best selection of garage floor tile as well as Oil Absorbent Garage Mats. 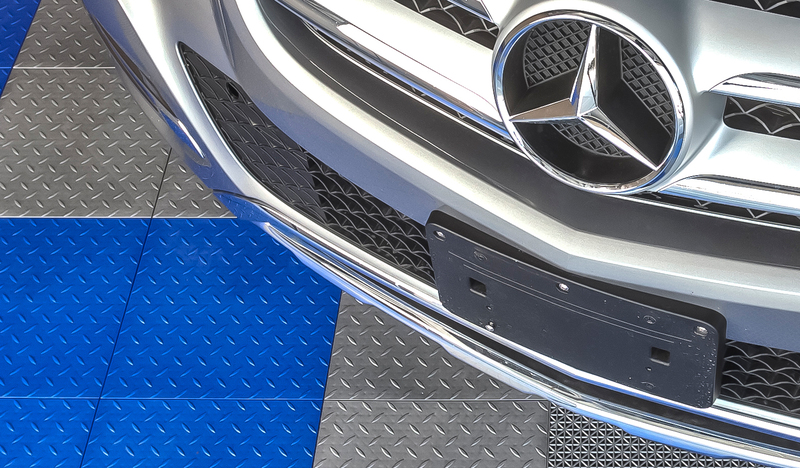 Additionally we offer containment mats such as Park Smart Clean Park and Auto Floor Guard. 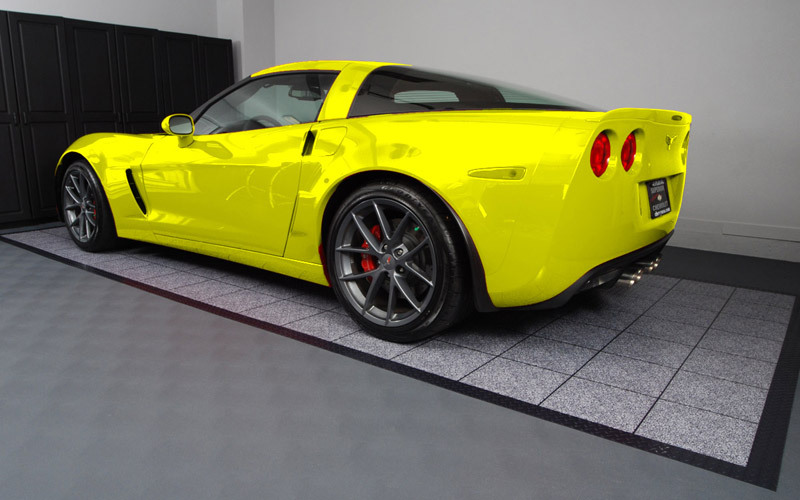 If your looking for garage floor protection, Garage Flooring LLC is the answer! 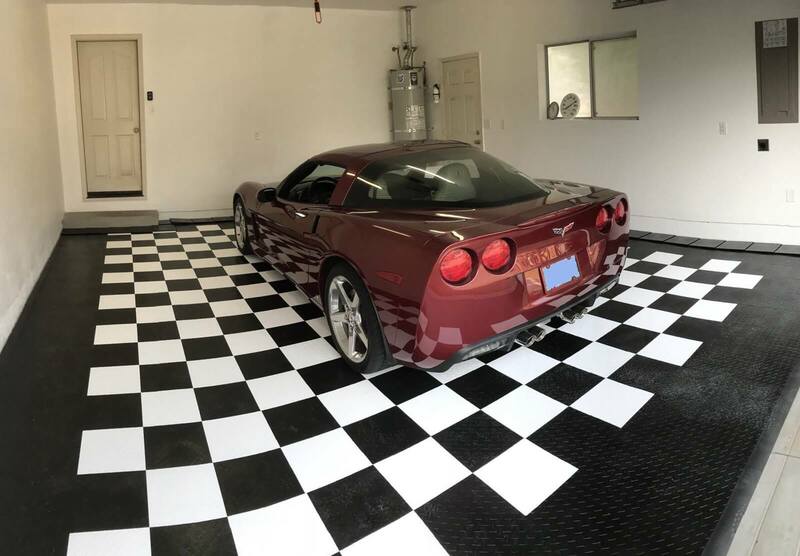 Paul installed the Racedeck Diamond Tiles and holy cow does his garage look awesome! So You Want the Best Garage Floor?